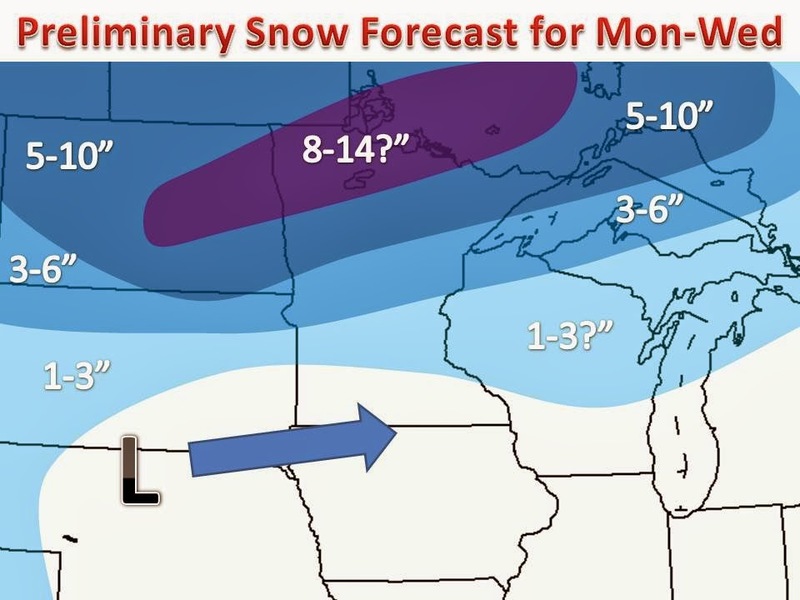 Major Winter Storm Shaping Up for Monday through Wednesday morning. A couple pieces of energy will combine to spin up a fairly significant area of low pressure by Tuesday. Right now it does appear that enough cold area will filter in to turn rain over to mostly snow, bringing up to a foot of snow in some places. Because we are still a few days out some uncertainty does persist is a few aspects of this system. 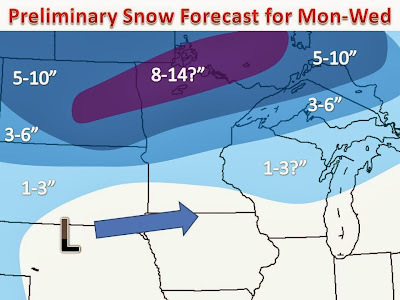 Where the heaviest band of snow sets up is in question, anywhere from North Dakota to northern Minnesota could be under fire with 10"+ certainly possible, the purple area is our best estimate at this time. 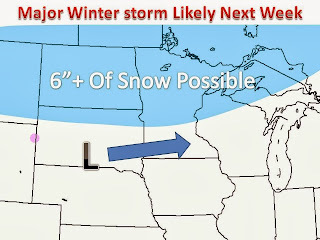 Furthermore, the post system wrap around snows are in question, generally how much will fall on the back side of the winter storm in Wisconsin. Right now it's looking like 1-3" is a good bet, but it will depend on the time it takes to switch the rain over to all snow. 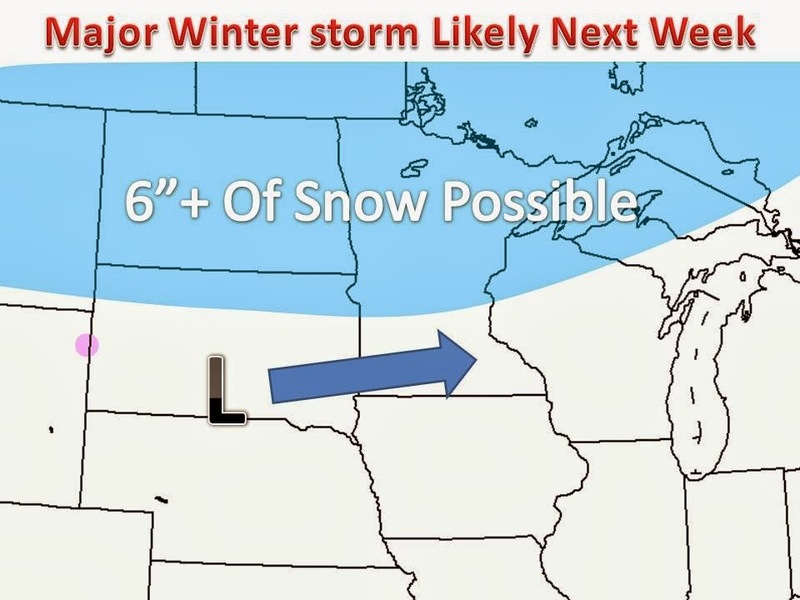 One thing not in question, extreme cold will return as the strong area of low pressure passes through. Well below normal temperatures will encompass all of the Midwest by the end of the week.